The Survey of London, not prone to hyperbole, describes the Spa Green Estate as ‘heroic’. Nikolaus Pevsner called it ‘the most innovative public housing’ of its time. English Heritage listed it Grade II* in 1998. And you can see for yourself – it’s south of the Angel, just by Sadler’s Wells – that the estate looks good, achieving something very rare, being both impressive and intimate. The engineering and design are first-class and it’s a good place to live. That’s a rarer combination than it might be. We’re back in Finsbury – one of London’s smallest boroughs before the war but, politically, one of its most ambitious. 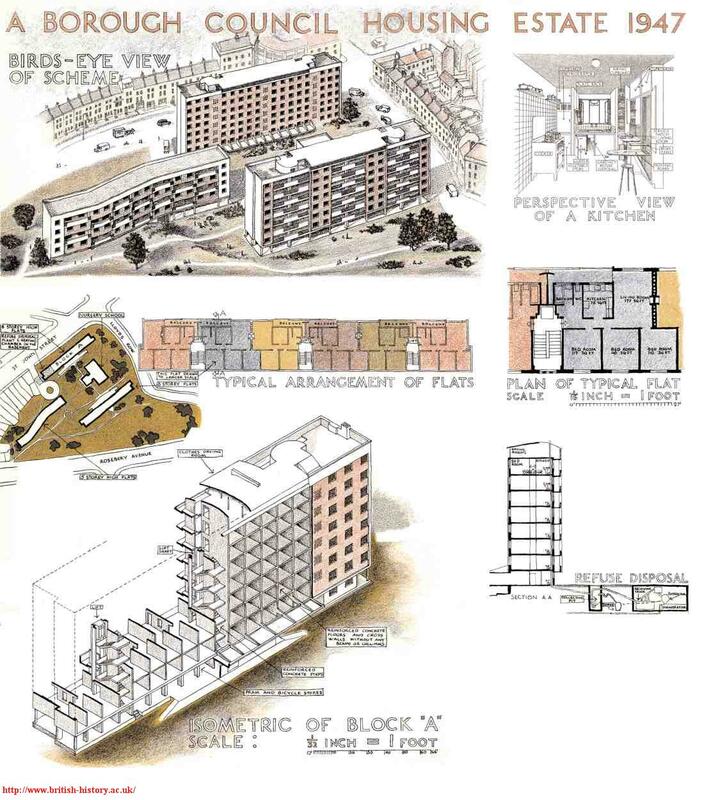 That ambition is best seen in the council’s partnership with the architect Berthold Lubetkin and his Tecton Group firstly in the famous Finsbury Health Centre (a previous entry) and then in the Spa Green Estate. Lubetkin was a constructivist. It’s an ugly term for a rather beautiful concept – the ‘artist engineer’ who believes in the power of technology and design to transform and improve people’s lives. The Labour council of Finsbury – in the third most overcrowded borough in London – wanted more prosaically to clear slums and build decent homes for its people. But it set high standards. 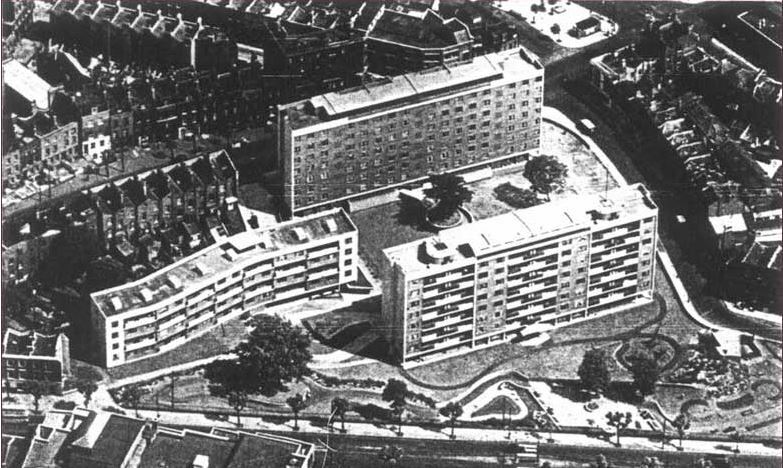 Slum housing in the area now occupied by the estate had been scheduled for demolition in 1936 and Tecton commissioned to design new housing – three blocks of multi-storey flats – in 1938. In the event, war intervened and destroyed both these initial plans and 11 per cent of Finsbury’s housing stock. In 1945, Finsbury had a smaller population – of 38,000 – but a waiting list for council accommodation of some 4500 families. More audacious plans were called for, spurred by these increased demands and helped by the technological advances of war. The current scheme in its essentials was approved in May 1945, before the war’s end – an early symbol of Labour’s intention to ‘win the peace’. Nye Bevan, Minister of Health and Housing, laid the foundation stone of the new development in July 1946. He commended the estate for its ‘many novel features’ and gave it his ‘every encouragement’. Herbert Morrison, leader of the London Labour Party and deputy prime minister, performed its opening ceremony in 1949. A young Princess Margaret planted a plane tree which has survived longer than she did. The finished development comprised 126 flats in three blocks. The largest – Wells House and Tunbridge House – eight storeys high, 190 feet long and 30 feet deep, were set in parallel north-south orientation across a large open court. The smaller Sadler House, four and five storeys high, is distinguished by its sinuous curves which make the most of the restricted space of the 3.9 acre site. Spa Green illustrated in Margaret and Alexander Potters’ book, Houses, published in 1948. Click for a full-size view. Technically, the buildings owe a huge debt to the engineering genius of Ove Arup whose innovative concrete box-frame enabled the clean, spacious lines and lack of internal ‘clutter’ that were a much remarked-upon feature of the new flats. 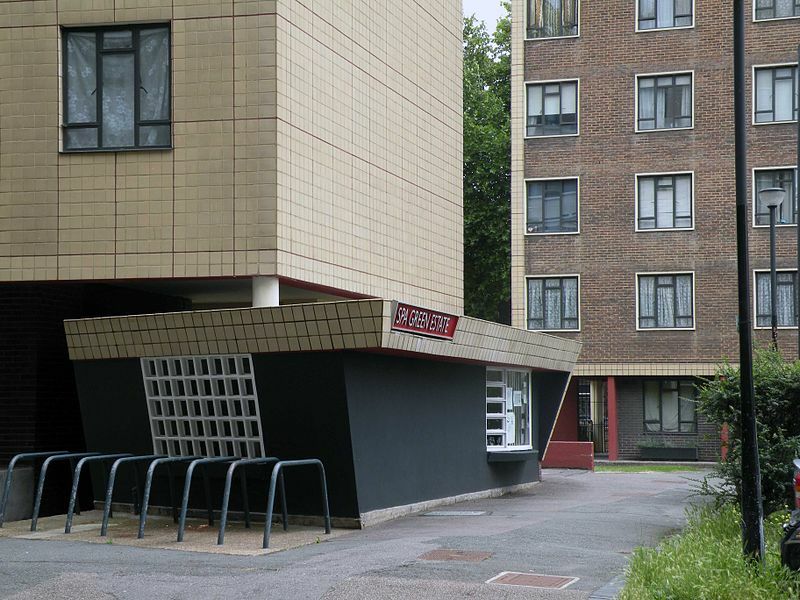 Architecturally, it is Lubetkin’s constructivist ideals which come to the fore. The larger blocks were plain in form but brilliantly enlivened by the design and detailing of their facades. 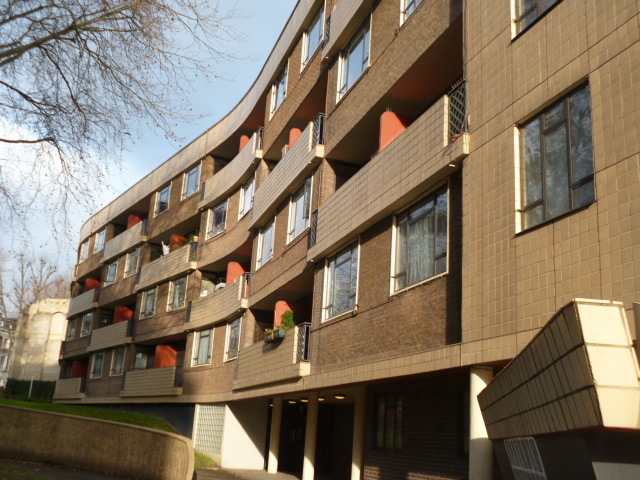 The quieter courtyard side of the buildings (where the bedrooms were situated) featured a chequerboard design influenced by Lubetkin’s study of Caucasian textiles. 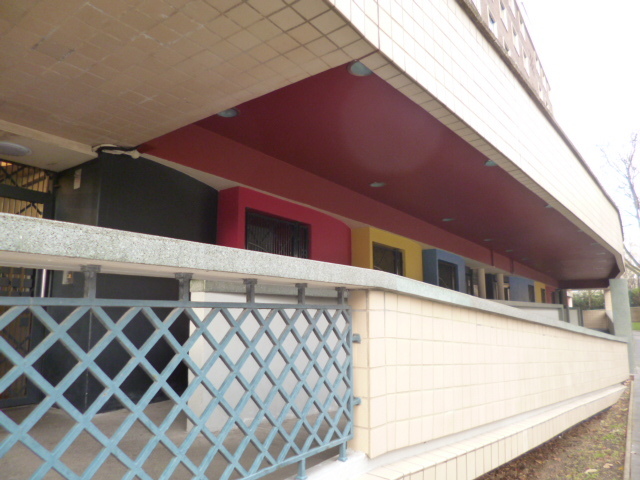 The outward sides which faced the streets had a rhythmic pattern of windows and balconies and the whole was accentuated and enhanced by a rich use of colour – reds, yellows and blues. The estate was too small to warrant an on-site laundry but roof terraces and covered drying areas with specially designed aerofoils to capture and maximise the breeze were provided on both larger blocks. In Austerity Britain and smoggy London and as a contrast to the bleak terraces and tenements which preceded it, the Spa Green Estate must really have seemed to mark the advent of a brighter future. the new flats will have most of the amenities of pre-war luxury dwellings but will be let at very moderate rentals. 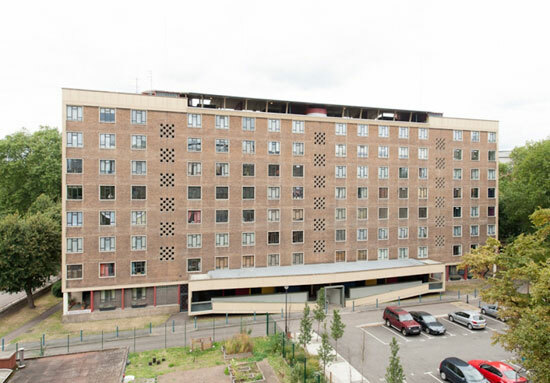 The flats had balconies, light and ventilation from both sides, central heating, fitted bathrooms and kitchens. The kitchens were equipped with slide-away breakfast counters and ironing boards, inbuilt waste disposal and large serving hatches to the living room. A current resident, born on the estate the very day that Bevan inaugurated it, recalls ‘My mum used to say “we’re living in luxury”‘. The estate is an outstanding advance in municipal housing. It will become one of the showpieces of London and there will be many visitors. Washing must not be hung up on the balconies…The blocks have exceptionally well-designed architectural features, and the display of washing on the balconies will spoil the appearance. One resident remembers a woman on a bicycle employed by the council to visit the estate and check compliance. Indeed, expectations of tenants were high. Tenancy conditions required regular cleaning of fireplace surrounds, sweeping of stairs and landing daily, washing of stairs weekly on a rota basis. No carpets were to be beaten after 11am, no rubbish emptied after 10am, no music to be played between 11pm and 8am. This is where the ritual reference to council paternalism should come but let’s avoid that contemporary reflex and simply note that this was a discourse of reciprocity, of rights and responsibilities. Anyway, aren’t low expectations more patronising? Of course, such mutual investment from council landlord and council tenant came easily to Spa Green – an attractive and genuinely popular development. Other schemes – blander, bleaker – were less easy to love. Spa Green also benefitted from its relatively small size. Residents could expect to know everyone that lived on the estate, at least by sight. Children growing up on the estate remember a widening but always secure universe – from landing to block to courtyard and playground as they grew older. would be out playing but at 8pm someone came out with a whistle and they all had to go to bed. They did as well. No-one argued. That’s better than ASBOs, isn’t it? After what comes a little too close to nostalgia, you’re probably waiting for the usual ‘what went wrong?’ Well, not much. There were complaints in the nineties about rubbish and the estate’s run-down appearance. In 1996 a Spa Green Management Organisation was established – with 98 per cent support from residents – to take over day-to-day management of the estate from Islington Council. Long-term underinvestment accelerated an inevitable deterioration in fabric but a major £5m refurbishment, completed in 2008, has restored the estate to its founding vision and modernised facilities where necessary. Right to buy has had its inevitable impact and around one third of flats are now privately owned. 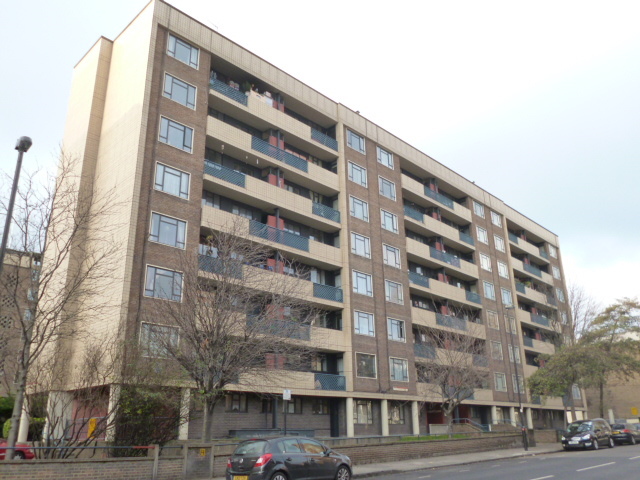 The refurbishment sparked controversy, not least because of the very large bills – between £28,000 and £42,000 – faced by leaseholders who had purchased flats on the estate. That aside and on this occasion ignoring larger issues about the marginalisation of social housing, maybe this is a social mix we should applaud. A one-bedroom studio flat in Wells House is currently on the market for £235,000 if you want to play your part in that. Over half a century later Spa Green still radiates a sense of optimism that defies the commonplace dismissal of flatted estates as a modern urban aberration. Spa Green looks good and feels good. 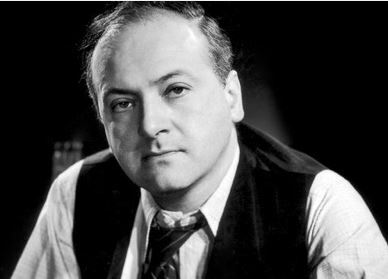 Lubetkin’s daughter, Sacha, attending the fiftieth anniversary celebrations of the estate, spoke of the ‘enormous love, care and attention to detail into the design’ that her father put into the estate and his determination ‘to provide for ordinary working people just as good a life as the rich had’. Here’s a vision – and an accomplishment – that we can applaud. (1) John Allen in Berthold Lubetkin (2002) quoted in a good Wikipedia article on the estate. The Survey of London entry found on British History Online provides very full information on the estate and additional illustrations as does the very thorough Local Local History [sic] website. Matt Weaver, ‘Designed to Infuriate‘, The Guardian, 16 November 2005 discusses the controversy over refurbishment costs and more recent developments. 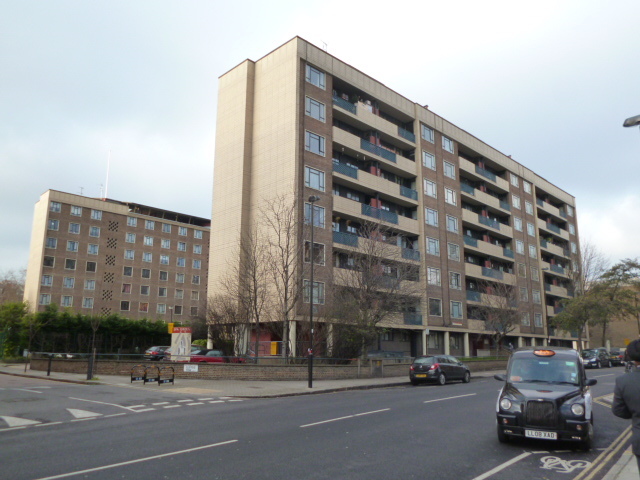 James R Payne, ‘Long live Lubetkin’s republic‘, BDOnline, 25 July 2008, gives a good analysis of the refurbishment. Most quotations and further detail are taken from the newspaper cuttings file on the estate in the Islington Local History Centre. My thanks to them for their assistance. Thanks for the energetic research you are doing. You mention, the north-south orientation of the blocks. This is an aspect of the planning of the estate worth taking further, as it makes the blocks Zeilenbau — the housing form pioneered by Weimar Republic architects (and mayors), which maximises east light in the morning, and west light through the afternoon and evening. Orientation of the blocks to the sun and the compass adds dynamism and energy to the urban texture here, because the surrounding streets are also acknowledged, extended, echoed and played with in the masterplan Tecton came up with. There is a productive tension between the existing pattern of streets and the new space the estate opens up in it — and as you say, the scale of the estate is not overwhelming, which is important. This type of planning brings sunshine into people’s lives, which is always good! Woodberry Down, Hackney, where two large and (in their present state) impressively grim Zeilenbau blocks are now nearly emptied and heading for demolition, is a part of this story. (Anderson shelters were recycled as building materials to make these blocks). Even architects such as McMorran and Whitby, self-conscious modern classicists, built according to Zeilenbau principles in their council housing at Barn Field and Wood Field, Hampstead, 1946-49, which overlaps in date with Spa Green. Ian – I don’t have an architectural background so I’m very grateful for you taking the trouble to provide this interesting and informed perspective on the estate. Maybe I’ll get round to Woodberry Down too!